IDenticard Access Control is a leading manufacturer of integrated access control solutions designed to protect employees, visitors, and facilities. A division of Brady Corporation (NYSE:BRC), a $1.12 billion manufacturer of identification products, IDenticard Access Control draws on its more than 30 years of experience in security software development to provide innovative products based on its customers’ requirements and the needs of the marketplace. 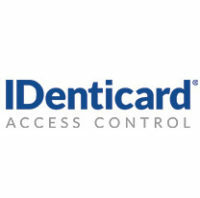 With an in-house engineering team, IDenticard Access Control develops award-winning software that includes mobile apps for access control and credential management, integrations with Schlage® wireless locks and leading video management systems, and physical access control for data centers, as well as photo identification software and credentials. IDenticard’s PremiSys™ access control and Rack Armor™ server protection have won awards in SIA’s New Product Showcase. Property of ROI Communications. All Rights reserved.